This tester performs quality-assurance tests on EEDs that are resistant to radio-frequency (RF) power. The tester automatically matches RF impedance, and puts a predetermined level of radio-frequency power into the EED. The user chooses the frequency. Afterwards, the tester applies the no-fire DC current level, which can be set by the user. Finally, the tester applies the all-fire current level. All data, including EED serial number, time of day, etc. are saved in the tester’s memory, for subsequent download and reporting. 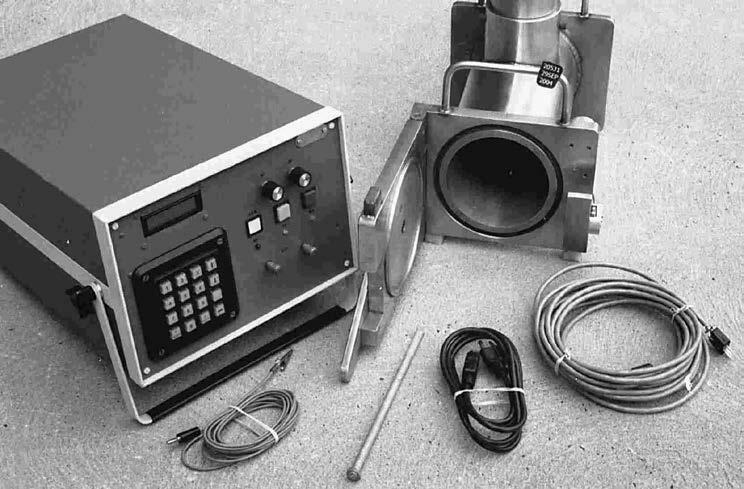 This tester is portable, and comes with a portable test chamber for electric detonators. Interlocks and grounding connections protect the user.